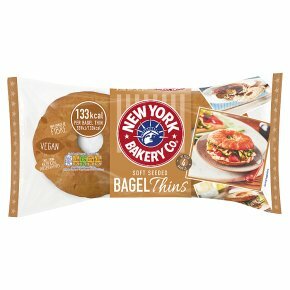 128 kcal per bagel thin 539kJ/128kcal. Soft & chewy for an authentic NY taste. A high source of fibre. Free from artificial colours & flavours. Suitable for vegetarians & vegans.